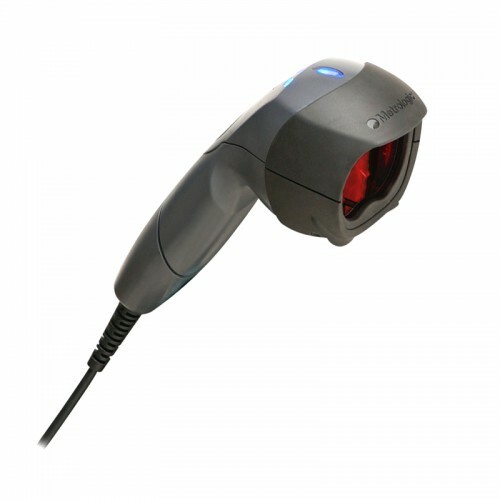 The MS3780 Fusion has a primary 20-line omni directional scan pattern that allows for aggressive scanning of barcodes in any orientation or with a push of a button can switch to a targeted single line for menu scanning. 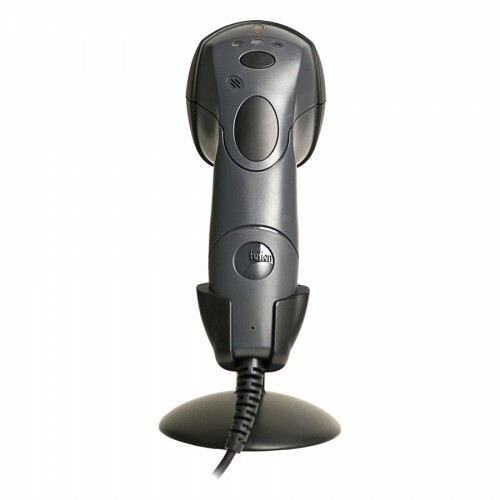 This feature of the MS3780 Fusion provides the ability to pass overother barcodes, selecting only the required code. 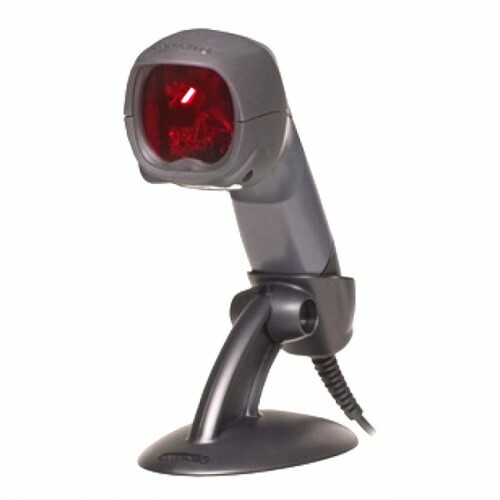 No other scanner offers this much control. Hands free operation in the stand for presentation scanning reduces operator fatigue and multiple sleep modes reduce power consumption. 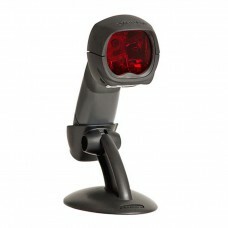 The optional EAS integration allows users to deactivate and EAS tag and decode a barcode in a single scan. Metrologic MS3780 Fusion - USB Kit. Omnidirectional Laser. Includes coiled USB cable and stand.